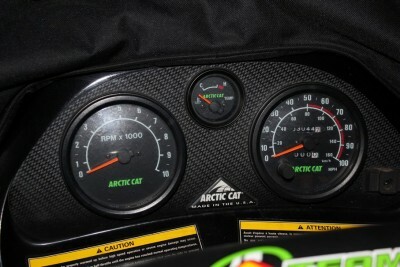 Up for sale is a 1999 Arctic Cat Thundercat 1000 with miles somewhere near 4000 (speedometer/odometer stopped working around 3k). 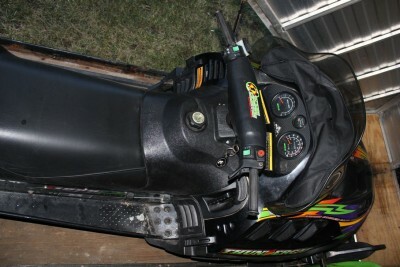 Sled has studded track, reverse, heated thumb & hand warmer, and storage bag on dash. 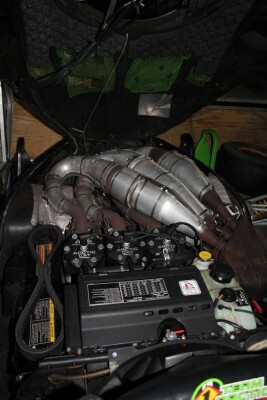 I also have some brand new dual carbides (skags) that I''ll throw in (never installed). 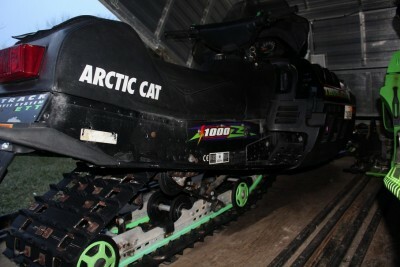 I have had it for 2 1/2 years, but haven''t been able to take it out this year at all for lack of snow and people to go with. I did start it this year to make sure no issues. I had to get water pump replaced last year but other than that no real issues. The track has a bit of wear to it with some studs missing, but I haven''t had issues getting going and getting there fast (close to 100mph on frozen lake). Can be difficult to start the first time after sitting in the cold (known for this sled and big motor) but after that pretty much starts within 3 pulls. 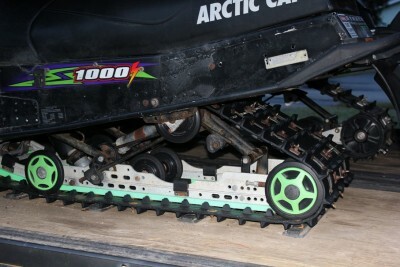 The 2000 Triton clamshell trailler in pic is for sale for $1000 after the sled is sold, or as a bundle with sled. 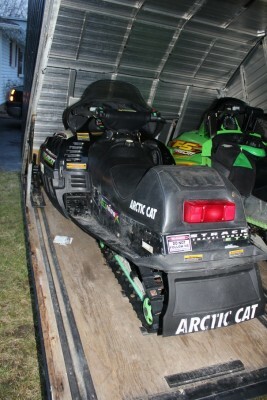 Various snowmobile apparel ( helmets (XL), bibs (L) ,boots, gloves and more ) is also for sale.